Cut the Bull, not your hands! 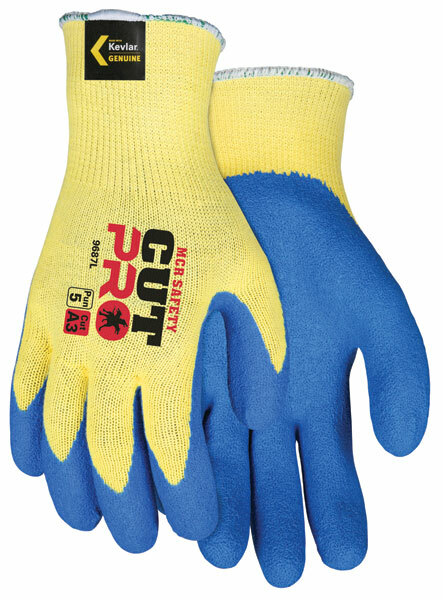 Kevlar® is the world's most cut resistant fiber and the latex rubber coating adds the grip and abrasion resistance you need to cut into the job, not your hands. Made of 100% DuPont™ Kevlar® fibers, the 9687 shell offers breathability, comfort, manual dexterity and is launderable. It has a blue latex palm and finger coating.